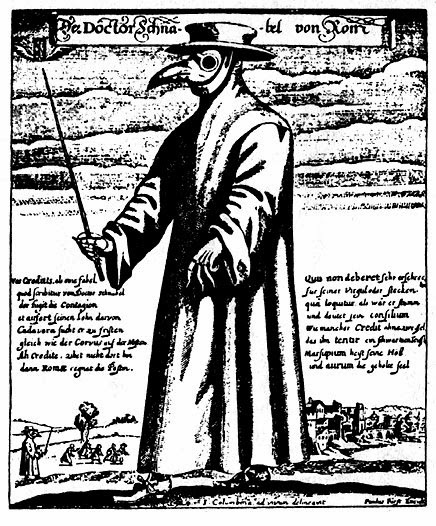 Few describes the different kinds of plague that could be experienced and their symptoms’…hard dry boils, particularly in the groin or armpits and it normally took three days to die.’ A range of preventatives included what was known as a ‘tuzzy muzzy’ , a bunch of herbs to warn off the bad smells, and urinating on a mixture of yarrow, tansy and feverfew, and then drinking the strained liquid. Work related diseases led to the demise of many of our ancestors. 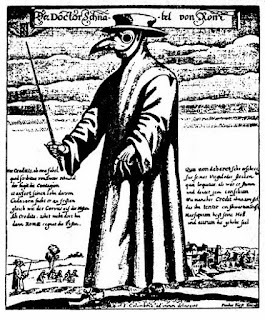 Tuberculosis, also referred to as consumption, phthisis, decline or the white plague, was a product of urban poverty, poor nutrition, and work conditions. It was very infectious, with late teenagers often the victims. Occupations determined certain ailments in their workers. Examples are: knife grinder's asthma, Mad hatters' disease (mercury poisoning, which was often contracted by those working in the hat industry), and fossy jaw (caused from ingesting phosphorous; the disease of the match girls). The names of these diseases are intriguing in themselves. Summer madness, also known as St Anthony’s fire, Sacred fire or Invisible fire, because the skin turned black as if burnt, was common in times of bad harvest when poorer quality crops were eaten. The green disease, or chlorosis, also known as the virgin's disease as it was prevalent in teenage girls, was blamed on tight corsets and studying too hard with matrimony frequently prescribed as a cure. War was responsible for the deaths of many of our ancestors, with the armed forces far more likely to die of disease than in combat. In the Crimean War only one in six casualties died in battle. 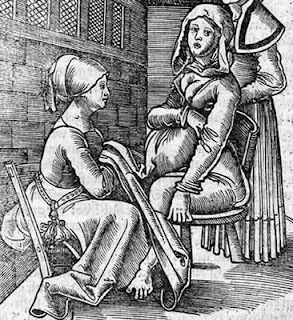 Being a wife was a dangerous profession with between five and ten percent of all mothers dying in childbirth until the mid-nineteenth century. The list of options was grim: childbed fever, blood loss, and toxemia. Abortions were illegal and therefore dangerous. In the days before Health & Safety, our ancestors drowned in wells, were burnt by open fires, fell off horses and ladders and suffered frequent bouts of food poisoning caused by a lack of refrigeration and the foraging for food in woods and hedgerows. Although our health is better and we are vaccinated against the very things that blighted our ancestor’s lives, we do manage to die in ways they could never imagine.